Out now through Vitamin Records & Sunroom Studio. Invisible Friend weave an enticing blend of nostalgia and innovation with the anticipated release of their latest studio album – ‘Sunroom’. A departure from previous conceptual releases, Bedlam’s Cosmic Breakdown’ (2002), and the acclaimed ‘Mysterious Maps’ (2008), this brand new album captures one of the country’s most distinct and infectious acts through a collection of songs that span almost the last decade of writing, playing and life. Produced alongside engineer Steve Law (Hearing Images), and mastered by Paul Gomersall (Eric Clapton, Kate Bush, George Michael, The Angels & Sinead O’connor), the group has created an album rich in diversity and mood, bursting with their trademark multi-lead harmony vocals, ingenious arrangements and songwriting brilliance - all the while never straying too far from the experience of a live I.F show. Invisible Friend's distinct sound has led them from their regional New South Wales roots of Wagga Wagga in the Riverina, across the globe to Europe and the United Kingdom for a three year residency in Germany, Swtizerland and London, and back home again to set up their SUNROOM Recording Studio in the rolling hills of the Far North Coast where they write, record and support fellow artists of the independent music scene. They have shared the bill with some of the country's most diverse acts including Paul Kelly, Vince Jones, Mama Kin, Washington, & Tex Perkins - recruiting fans worldwide with their thought provoking melodies, hooks, and soulful signature vocals. 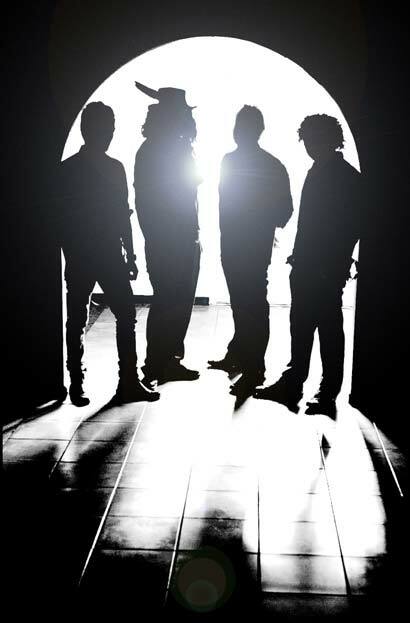 Having been likened to so many, and citing influences as diverse as vocal supergroups Crosby Stills Nash and Young, Cream and Supertramp, to the psychedelics of Pink Floyd, The Moody Blues, The Beatles and the dirty blues, funk and soul of giants Parliament and War - Invisible Friend has been described as “A group you wished you both belonged to, and discovered” - Tony Bates – Highland FM. Invisible Friend’s album ‘Sunroom’ is an amazing mix of musical proficiency, memorable tunes and exploratory jamming. Their sound is hard to describe. Deep in the woods of Whian Whian Invisible Friend have been beavering away making their follow up album to 2008’s Mysterious Maps.